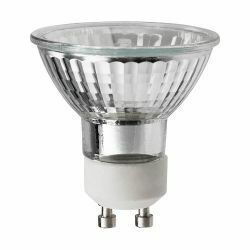 What is the difference between Incandescent and Halogen bulbs? 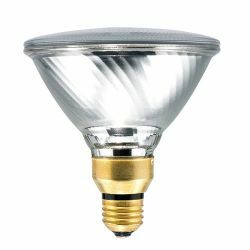 Halogen light bulbs are basically beefed-up incandescent bulbs, and they feature a longer lifespan than incandescents, as well, while still using the same amount of energy. In effect providing more light and better color, all for the same energy cost as their incandescent cousin. 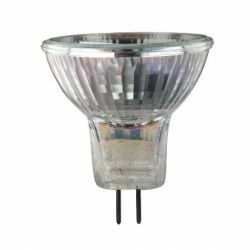 Halogens work in much the same manner as incandescents, using a tungsten filament that emits light when electricity passes through it. 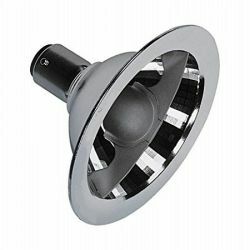 The difference, though, is that a halogen bulb contains a small amount of halogen gas within its globe, which reacts to the heat produced by the tungsten filament. This reaction is what is referred to as the halogen cycle. 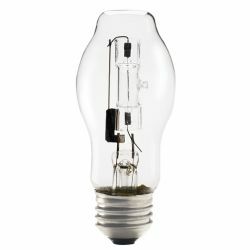 A filament will break down over time from the heat generated by electricity, depositing on the glass of the bulb and darkening it, and contributing to the eventual death of the bulb. 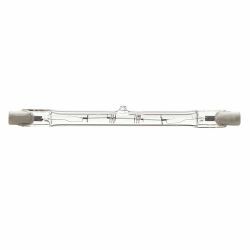 In halogen bulbs, the tungsten filament that breaks down and evaporates reacts with the halogen gas atmosphere, creating a halide and preventing it from depositing the tungsten onto the glass. 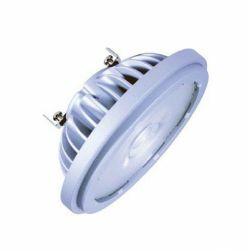 As the halide circulates inside the globe and approaches the high temperature of the tungsten filament, it will break down the halide into the materials which created it. 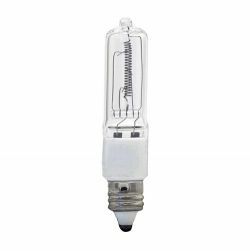 The tungsten will return to the filament and the halogen gas will return to the bulb’s atmosphere, completing the halogen cycle and extending the life of the bulb far beyond that of an incandescent. 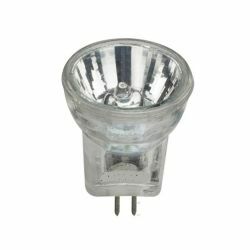 Halogen light bulbs were the next-gen in lighting technology following the introduction of the incandescent light bulb in the late 1800s. First coming onto the scene shortly after Edison patented his light bulb in 1879, the chlorine halogen bulb was granted a patent in 1882. 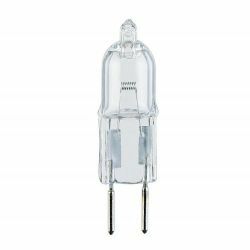 However, halogen bulbs were not made commercially available on the large scale until 1959, when Elmer Fridrich and Emmet Wiley patented their iodine halogen bulb while working for General Electric. 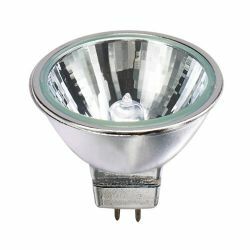 Halogen gas is comprised of any of the elements fluorine, chlorine, bromine, iodine, and astatine on the Periodic Table. These gases are nonmetallic, but reactive, and create highly acidic compounds when they come into contact with hydrogen. When these gases react with other metals, they result in the development of a wide range of simple salts, including common table salt! 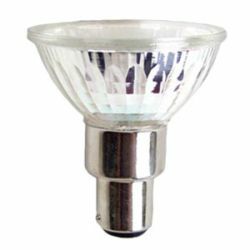 Halogen light bulbs generally are made using iodine or bromine, and because these bulbs operate at a much higher temperature than incandescents they produce a much whiter color of light. 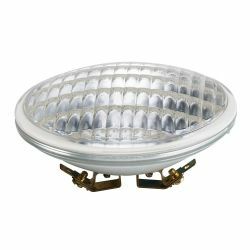 However, this higher temperature and pressure within the glass requires halogen bulbs to be manufactured using much stronger fused quartz rather than silica glass so as to avoid the bulbs from breaking or exploding while in use.